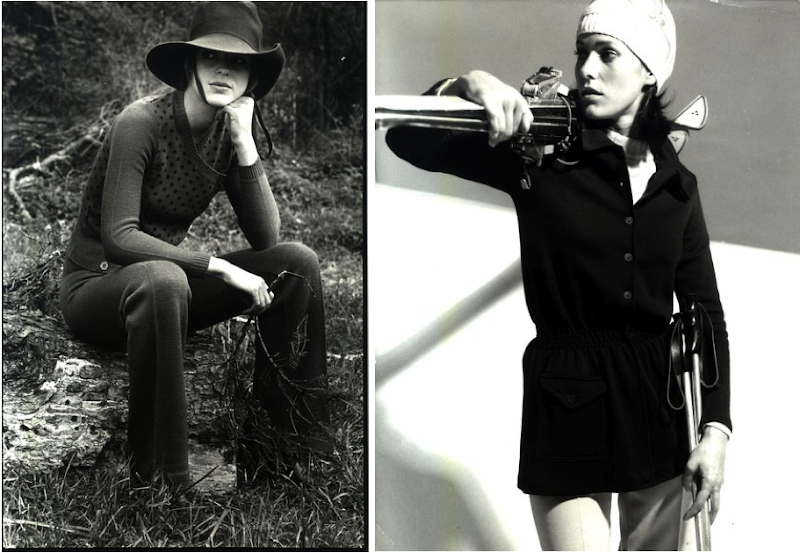 Photos by The London College of Fashion/The Woolmark Company, 1971 and 1970. The International Wool Secretariat (IWS), now The Woolmark Company, was established in 1937 to undertake research and the global promotion of wool. To that end, they built up a large library of promotional photographs which were donated to the London College of Fashion in the 1980s. Today, thousands are available to check out online, serving as a time capsule of fashion and fashion photography from the 1940s through to the early 1980s, including designs by Yves Saint Laurent, Christian Dior and Oscar de la Renta. "I have a collection of 1960s Woolmark jackets and capes from my beloved, effortlessly-chic late grandmother, who was a lifelong tomboy and nationally-ranked equestrian and rally-driver (long-distance automobile races through the countryside) back in the day. I couldn't resist emailing you the link because it seems *right* up your alley." Your grandmother sounds rad. Thank you so much for sharing Lily! This visual fashion history is awesome! It really shows just how much women's styles have changed in 100 years, but (more importantly) how they have mostly stayed the same. I'm speaking about skirts, dresses & girly-fashions mostly... not boyish, pants or even slacks are barely shown! I've always loved dresses, skirts, heels but as I've grown older (and wiser) my preference has gone back to one of fashionable comfort, which means a more Tomboy-esque wardrobe. It's too bad more young women are not shown these kind of comparables in fashion history until college, sometimes which is much too late to counteract social norms. It would be nice for younger girls to understand such significant breakthroughs in social evolution, like women being beautiful in WHATEVER they choose to wear instead of what Cosmo, Vogue, etc. tell them to wear! Lil you seem to pop up everywhere on the internet! I<3 Tomboy Style (and wool for days)!